Resolution is reached in the custody battle over the infant daughter of former Kansas City Chief linebacker; Recent ruling by the Eastern District of the Missouri Court of Appeals strengthens the enforceability of prenuptial agreements in Missouri and more. In January of this year we wrote a blog about the interstate custody battle that developed after the murder – suicide by former Kansas City Chief linebacker Jovan Belcher. 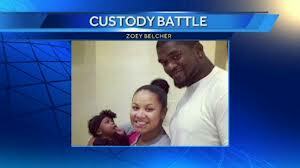 After the well-publicized death of the NFL player and his girlfriend, competing custody battles were filed by the family of Kasandra Perkins in the State Of Texas and Javon Belcher in the State of Missouri, over the custody of the couples’ infant daughter. In January of this year, based upon the application of the Uniform Child Custody Jurisdiction and Enforcement Act (UCCJEA), a determination was made that proper jurisdiction for the custody battle lie in the state of Missouri, which was the home state of minor child prior to the death of her parents. Last month, Jackson County Missouri probate Commissioner Daniel Wheeler, awarded custody of the then 9 month-old to Sophie Perkins. Ms. Perkins resides in Texas, where the child will now live. Ms. Perkins is a cousin of the deceased mother, Kassandra Perkins. A determination was made that it was in the child’s best interest that Ms. Perkins be awarded custody rather than the family of Jovan Belcher, who reside in Missouri. Also, an agreement was reached between the families that a third-party would manage the close to $4 million inheritance for the minor child. In a recent decision that came from the Eastern District Of the Missouri Court Of Appeals (In Re The Marriage of Lichtenfeld), if a pre-nuptial agreement is found to be valid by the trial court and that agreement clearly divides the marital and separate property interests of the parties, the trial court cannot unequally divide the marital assets of the parties in a manner contrary to the terms that are in the prenuptial agreement. In a previous blog, earlier this year, we discussed the enforceability of ante-nuptial agreements (pre-nuptial and post-nuptial). In that blog, we outlined those factors generally considered in determining the validity of agreements of this sort, namely: full disclosure, independent review by legal counsel, and evidence that the agreement was entered into freely, fairly, knowingly and in good faith. Due to the fact that there is not a Missouri statute that clearly addresses the enforceability of pre-nuptial agreements, appellate decisions such at these are even more significant for family law attorneys who draft them and judges who enforce them. In early June of this year we blogged about those factors the court will consider in determining an award of spousal maintenance (Will There Be An Award Of Spousal Maintenance in My Missouri Divorce?). Our blog included a discussion of the two part threshold test outlined in our Missouri Statutes, specifically: whether or not there is sufficient property, including marital property, awarded to a spouse to assist her in in meeting her reasonable needs and/or whether the spouse is capable, through appropriate employment, of meeting her reasonable needs. In a recent decision from the Southern District Of the Missouri Court of Appeals (In re: The Marriage Of Kulpeska), the appellate court further distinguished property awards between those that are income producing property and those that are non-income producing property. The Court found that if the property award is to be relied upon as the reason to exclude an award of maintenance, that property should be income producing property that assists the receiving spouse in meeting her reasonable needs. In this particular case, an award of marital property, including a home and vehicle, was not a sufficient reason to exclude maintenance as the property was not income producing. Please visit our blog again soon for more discussions on Missouri family law. If you are in need of assistance with your Missouri family law issue please contact our office today for a free consultation.